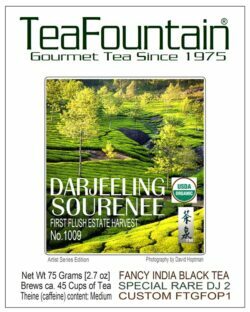 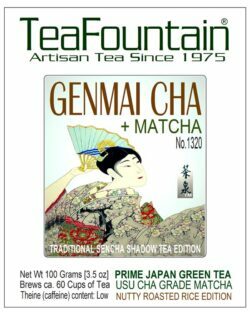 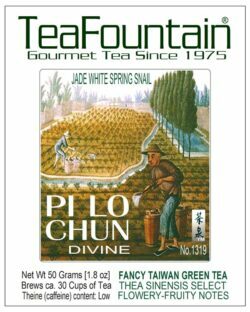 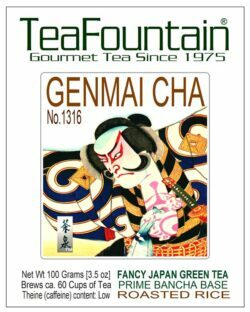 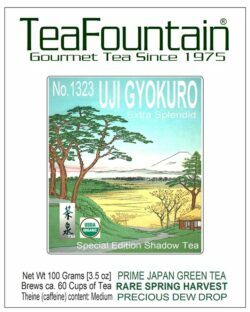 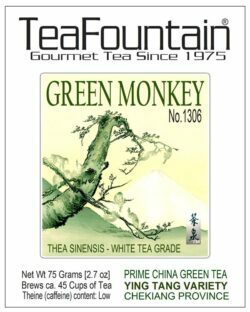 TeaFountain offers over 50 different Green Teas! 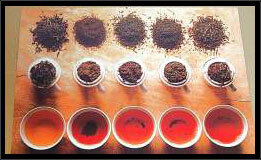 The leaves of the Thea sinensis are carefully processed by drying them in Open-Air or using the Pan-Fryed method. 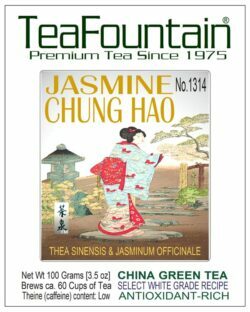 Our loose-leaf green teas offer superior benefits to tea in bags, and also offer a good selection of organic green teas. 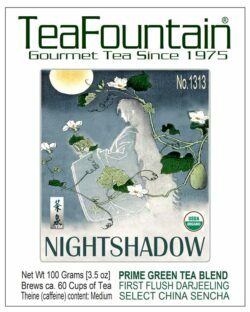 All teas handled, brokered and offered by TeaFountain are naturally grown and fairly traded. 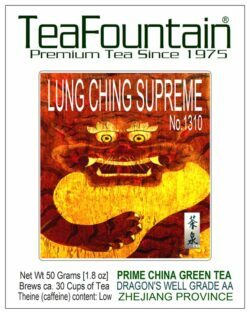 Theine (caffeine) content: Low to Medium. 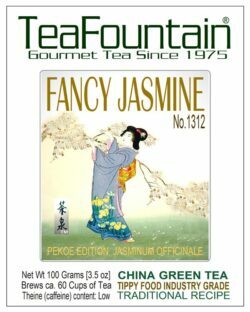 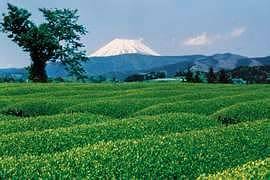 More Green Teas can be found in the categories of Flavored Green Tea and Organic Teas. Our Loose-Leaf Green Teas are packaged in custom-designed, decorative and sealed round ‘Silver Glow’ Metal Tins with our award-winning art labels. 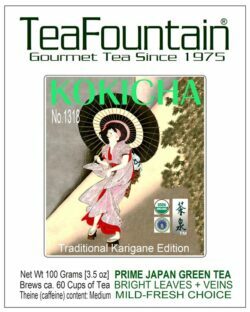 Prices shown on this page are mostly for 50Grams/1.8oz (brews 20 to 30 cups of tea). 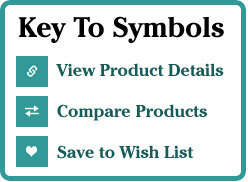 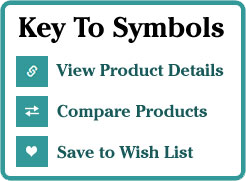 Choose larger volumes and cost-effective Food Service sizes from the drop-down menus.